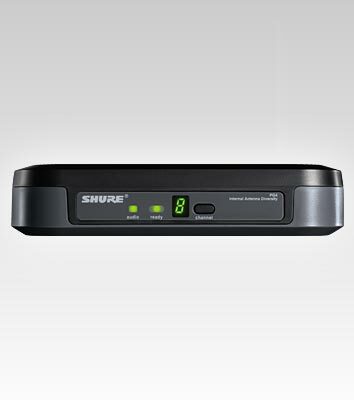 The Shure PG4 is a UHF diversity receiver for the Performance Gear series wireless microphone transmitters. The table-top or rack-mounted unit features 1/4" phone and XLR outputs for complete compatibility with any amplifier or recording device. The PG4 features diversity reception where twin antennas minimize radio frequency (RF) drop-out and interference. 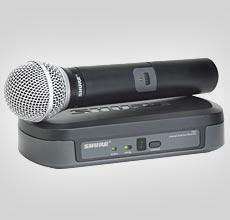 The PG4 is easily rack-mounted with the optional Shure URT (Universal Rack Tray).